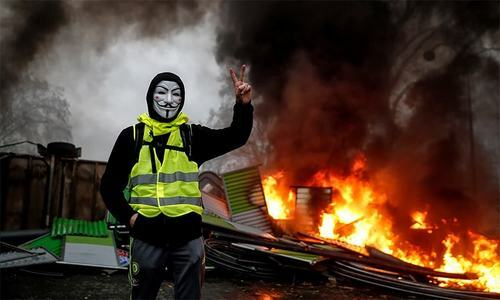 PARIS: The French government faced heavy criticism on Sunday over failing to maintain law and order during an arson and looting rampage by “yellow vest” protesters along the famous Champs-Elysees in Paris. Some 80 shops and businesses along the avenue were vandalised on Saturday when the protesters ran amok, with about 20 looted or torched, retailers said. Saturday’s demonstrations were characterised by a sharp increase in violence after weeks of dwindling turnout. “There was a wave of violence, we’re dealing with the aftermath of the chaos. We’re trying to reassure all the employees and then there are those who live here, too,” said Jean-Noel Reinhardt, head of the Committee Champs-Elysees, a local association with 180 members, most of them businesses. He said residents and business owners were pushing for talks with Prime Minister Edouard Philippe “to share our exasperation and explain our complaints”. “The authorities must put an end to this situation,” he insisted. In an interview in the Le Parisien newspaper Hidalgo added “we should be able to master a situation like the one we have just witnessed. “We are in the middle of a major social and political crisis... we can’t carry on like this.” The prestigious Champs-Elysees, known for its shops, cafes and luxury boutiques, has been the focal point for the demonstrations which have often turned violent, sparking running battles between police and protesters. 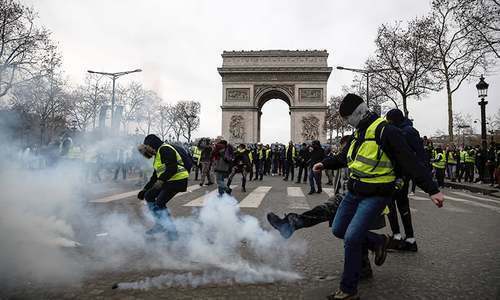 Police used tear gas, stun grenades and water cannon to try repel protesters who gathered at the foot of the Arc de Triomphe war memorial, which was sacked by protesters on Dec 1. A judicial source said 200 people, including 15 minors, were being held in custody after Saturday’s events. Earlier the authorities said 237 people had been arrested. In recent weeks, the protests have dwindled in size. 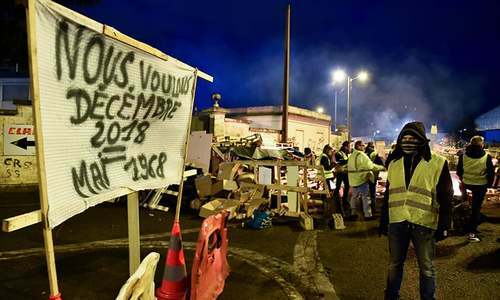 But the interior ministry estimated the turnout in Paris on Saturday at 10,000, out of around 32,300 nationwide. 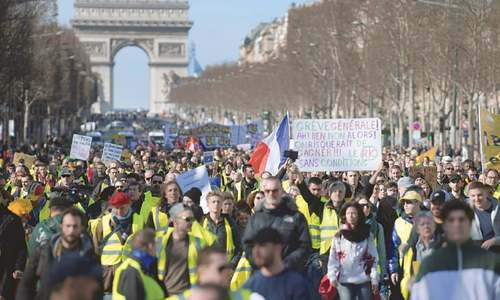 That is a fraction of the 282,000 people that took part in the inaugural demonstrations across France on November 17, but more than the previous weekend.